This site is dedicated to GM's large number of show & concept cars which have seemingly disappeared or have been scrapped. 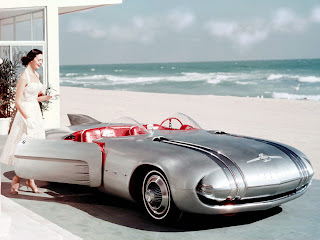 Lost Show & Concept Cars is not affiliated with General Motors; all names such as Cadillac, Buick, Oldsmobile, Pontiac, and Chevrolet are registered trademarks of GM. They are used here for identification purposes. The 1956 Eldorado Brougham prototype underwent several modifications. Presumably it was eventually scrapped. 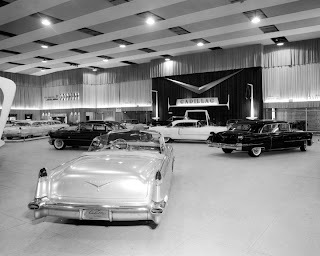 For 1956, four Cadillac "Mood Cars" were exhibited on auto show circuit. This one is the Castilian. 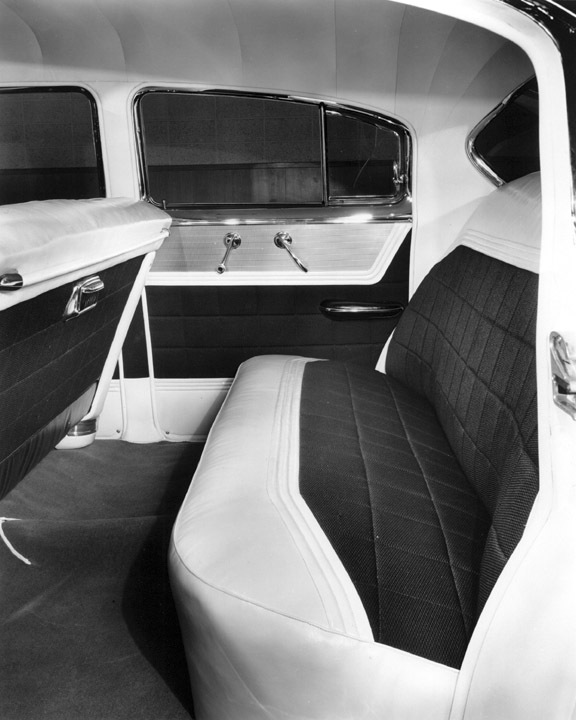 The Starlight Silver car had an interior upholstered in black and white calfskin with silver nylon. Of the four show cars only the Maharani is known to still exist. The Gala was a pearlescent white Sedan de Ville with pearl-white leather, satin, and nylon interior; carpeting was white mouton. Armrests in the front doors housed small umbrellas with silver and rhinestone covered handles. The Western-themed Palomino was created from a Series 62 convertible and featured a metallic beige exterior along with a tan leather and calfskin hide interior. 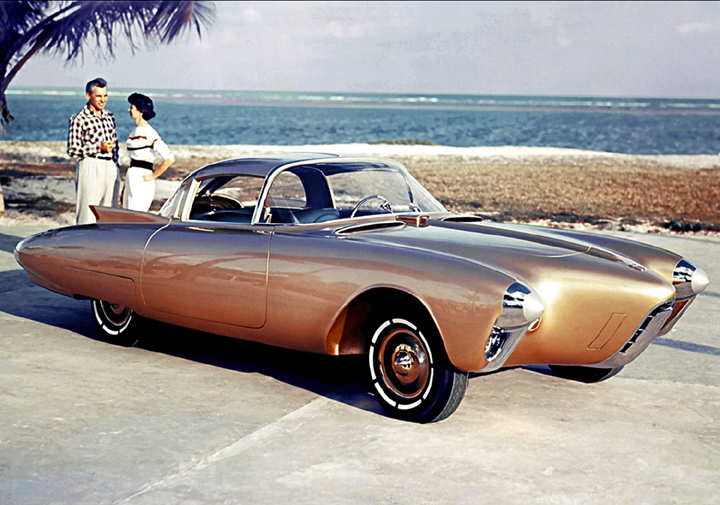 The 1956 Oldsmobile Golden Rocket has been rumored to still exist. 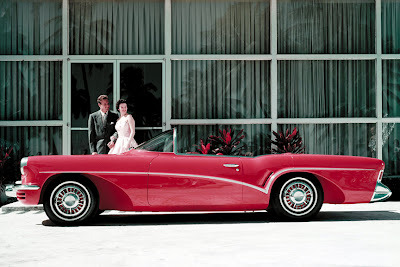 Another 1956 concept car rumored to still exist is this car, the Pontiac Club de Mer. The 1956 Chevrolet Corvette Impala was reportedly scrapped. What a shame if true. Some of its styling features appeared in production on the 1958 Impala. 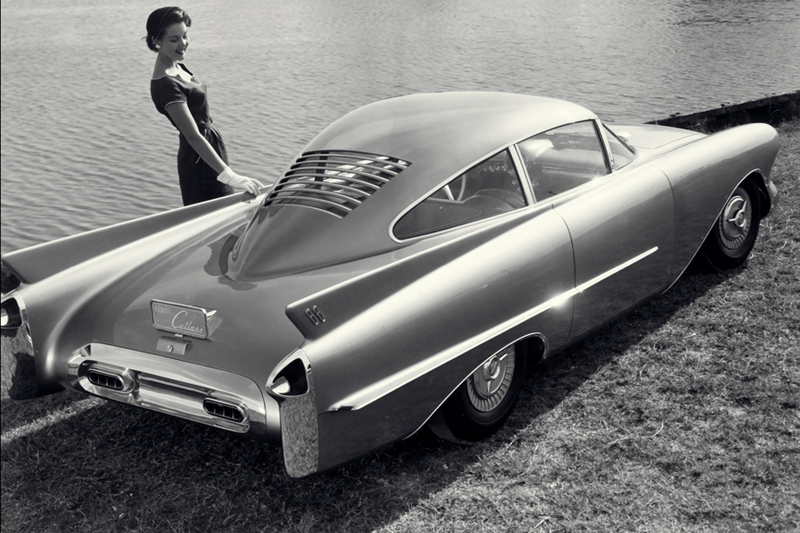 Scalloped front wheel openings, gull-wing front bumper, and a cantilevered roof were among the many features of the 1955 Pontiac Strato-Star. It was one of eight unique concept vehicles built for exhibition on the 1955 GM Motorama circuit. Its fate is unknown. 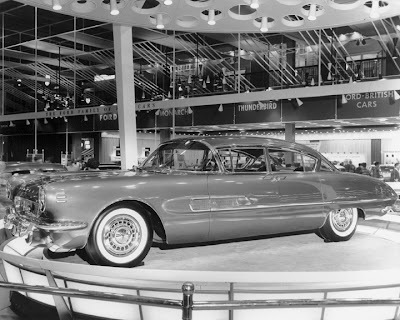 One of the many attractions of the 1955 GM Motorama was this 1955 Oldsmobile 88 Delta. The two-tone blue dream car featured a blue-tinted, brushed aluminum roof and blue-tinted glass. This car's fate is not known. 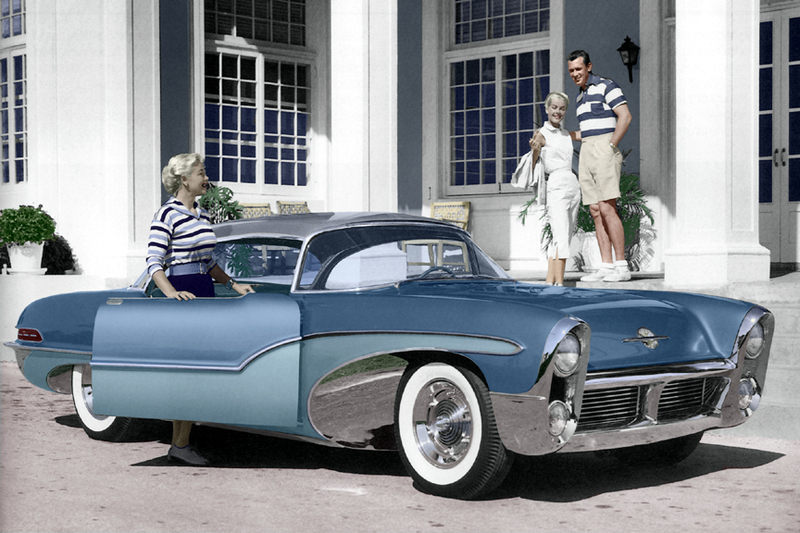 The photo seen here was colorized so the colors are approximations. 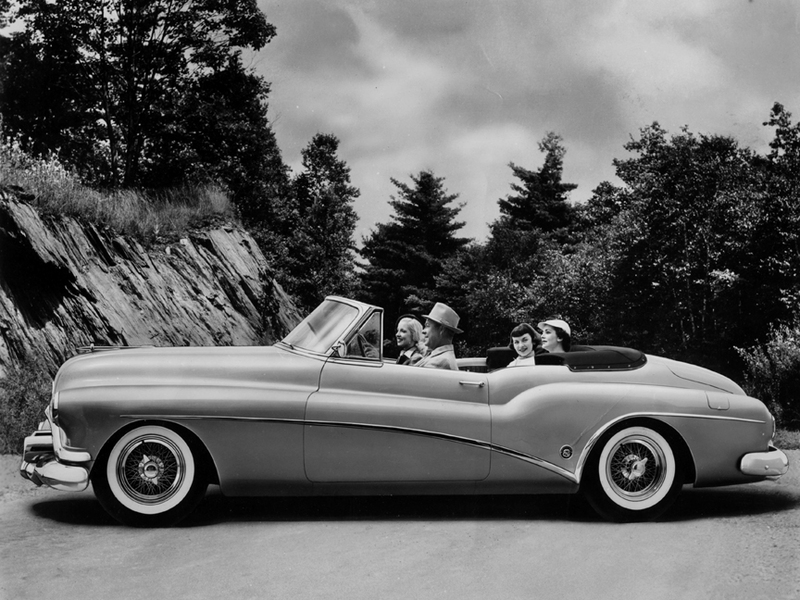 Described as both a "man's car" (probably not an acceptable advertisement today) and as a "toy convertible," the 1955 Buick Wildcat III was quite low in height for the day at 51.75 inches. This car was reportedly crushed by orders of GM. 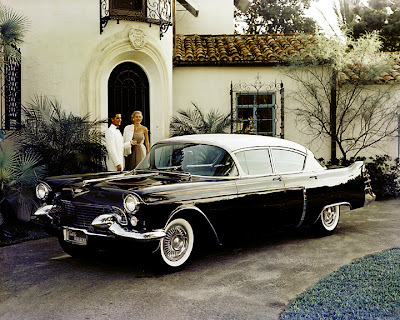 The 1955 Cadillac Eldorado Brougham was another prototype of what ultimately became the 1957 Eldorado Brougham. This car may have been scrapped. During the years of the GM Motorama, numerous production cars were altered with non-production paint colors and upholstery schemes. 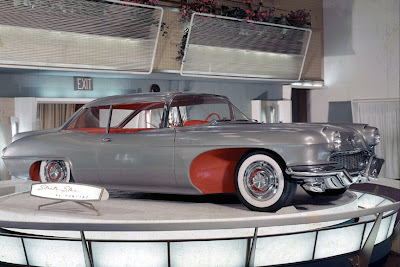 The car seen here is one of those cars, the 1955 Cadillac Celebrity. A long-grain vinyl covered top is one of its special features. 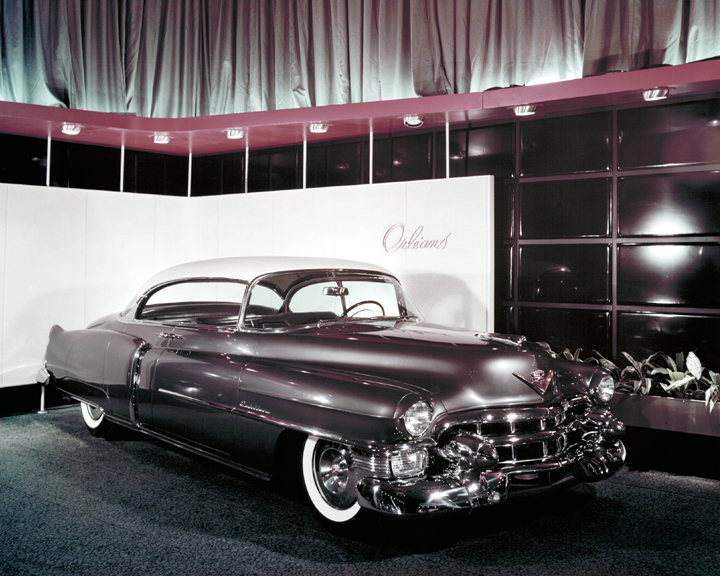 The 1955 Cadillac St. Moritz was a specially trimmed production Eldorado for the Motorama show circuit. It was painted pearlescent white with an elegant interior finish of white ermine trimmed in pearlescent white English grain leather and floor carpeting of white mouton fur. A built-in vanity was also included. Its namesake was the popular ski resort in Switzerland. A 14-inch television, a telephone, tape recorder, and Korina gold wood paneling were among the unusual features of the 1955 Cadillac Westchester show car. Its fate is unknown. A vehicle ahead of its time was this 1955 GMC L'Universelle. A modified version of it was set for production but was terminated due to the escalating costs of producing it. 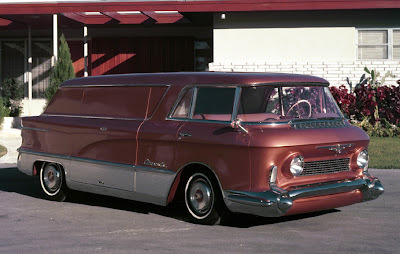 The design was ultimately replaced by the Corvair-based Greenbriar a few years later. Presumably, the L'Universelle, a non-running show vehicle, was scrapped. 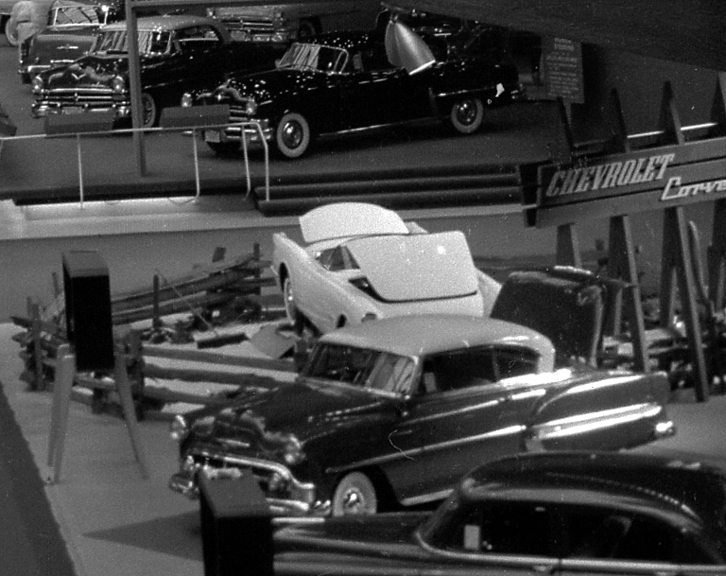 Three Corvette-based show cars were among the attractions of the 1954 GM Motorama. 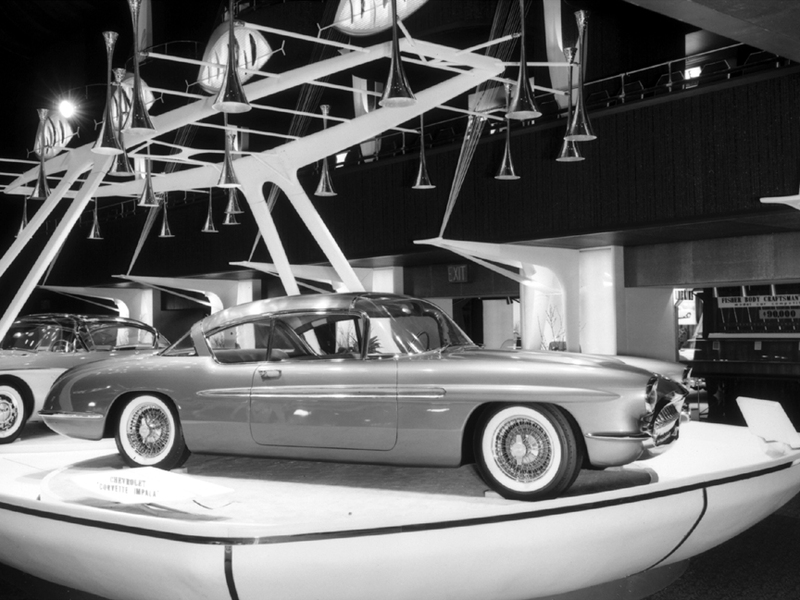 From foreground to background are the Corvair, Nomad, and the prototype hardtop car. 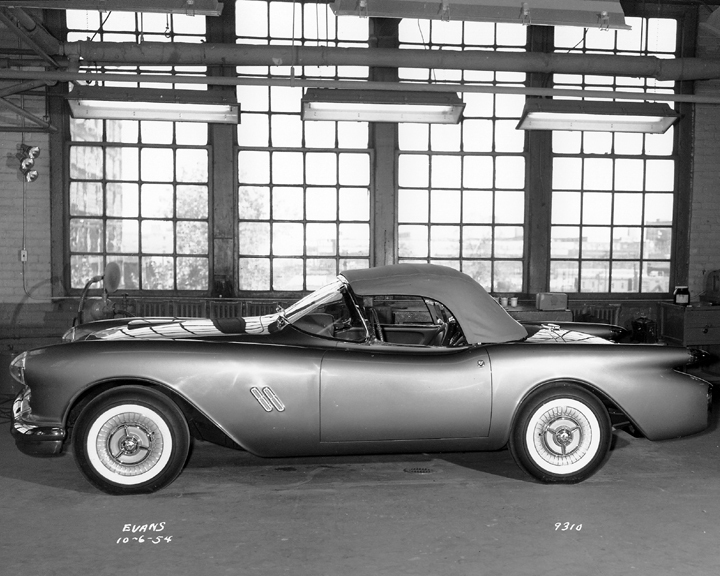 The latter featured a detachable hardtop and roll-up windows; both features would be adopted for the 1956 Corvette. The white Corvette is a production model. The 1954 Pontiac Strato Streak was a four-door pillarless (no center post) hardtop. It was inspired by the European, Lancia. It was equipped with a straight-eight; 1954 was the final year of this engine. The fate of this car is unknown. When the 1954 Oldsmobile F-88 sold at Barrett-Jackson/Scottsdale several years ago, it created quite a stir among enthusiasts. Some believed it was the car shown on the 1954 GM Motorama circuit. In reality, it is not. It was not even completed by GM! A body with its doors not even cut out along with enough parts to complete the car (with the exception of a Corvette frame and an engine/transmission) was sent to E.L. Cord of Cord automobile fame. He never built the car and it was subsequently owned by many individuals over the years until it was finally put together in the early 1990s. 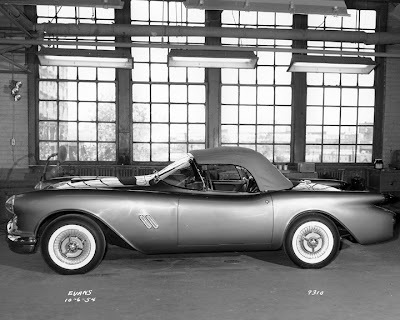 The pictured car is an F-88s built for GM executive, Sherrod Skinner. Does it still exist? 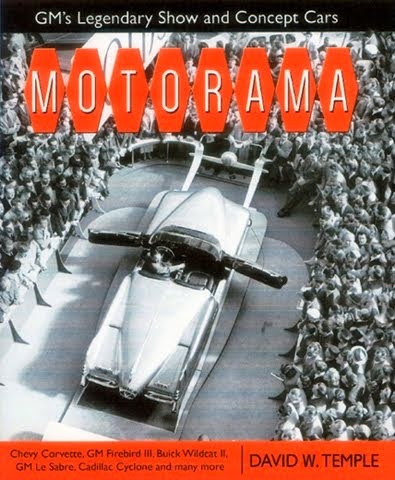 For the 1954 GM Motorama, two fiberglass dream cars with the Oldsmobile name were exhibited. This one is the Cutlass, a radical departure from the cars being sold at the time. Note its louvered backlight and tapered fastback roof. Another photograph of this car shows it with a Michigan state license plate so it was a running car. It is rumored to have been sold by GM. Does it still exist? 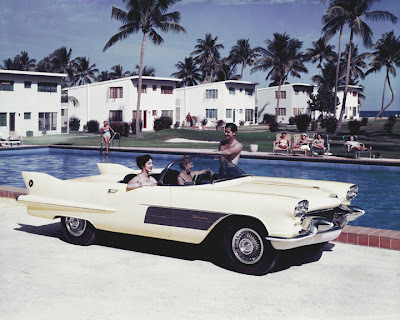 The 1954 Cadillac El Camino (Spanish for "The Royal Highway") was a two-passenger luxury sports car. Cadillac would not field such a car until the '80s with the introduction of the Allante. The spirit of the El Camino lives on with the current Cadillac XLR. The El Camino was reportedly scrapped. An convertible version of the El Camino was this 1954 Cadillac La Espada (Spanish for "The Sword"). Its color was originally, "Apollo Gold." A second example was built and painted, "Sword Silver." 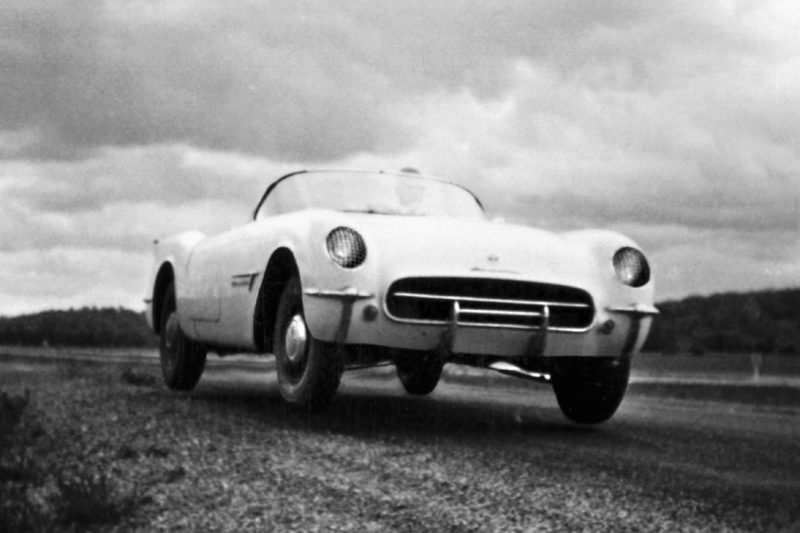 According to a GM press release the La Espada was equipped with a convertible top which formed a perfect arc when in the up position. In reality, an actual top may not have been installed; no photos seem to exist showing the top up. The fates of these two cars are unknown. 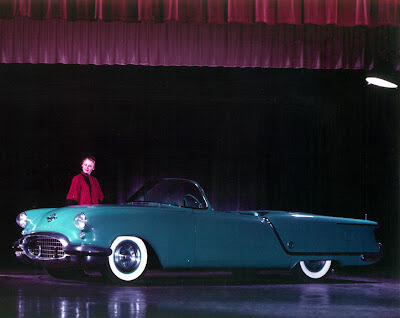 Among the trio of fiberglass Cadillac dream cars created for the 1954 GM Motorama was the Park Avenue (and you probably always thought the name belonged to Buick). 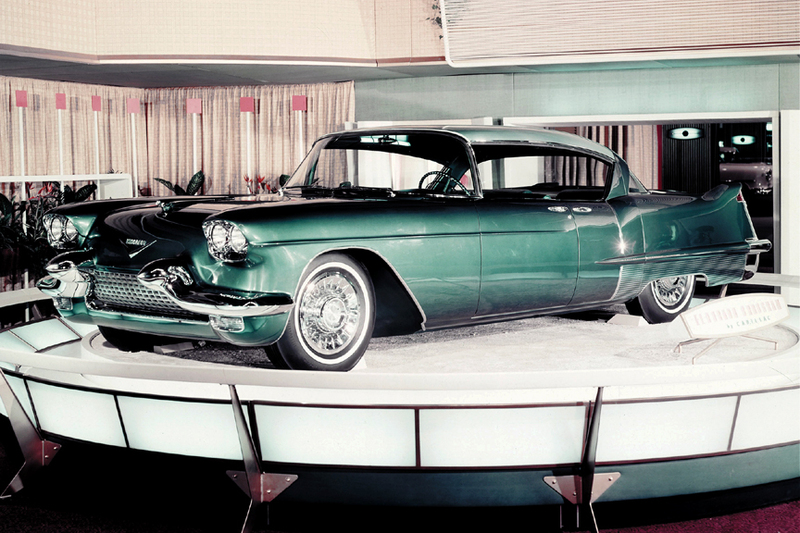 This show car served as a prototype of the ultra-luxurious Eldorado Brougham which debuted for the 1957 model year. The Park Avenue was probably scrapped. 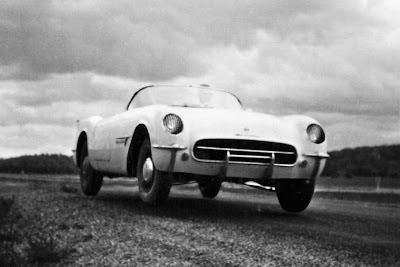 This is the 1953 Corvette test car, or "mule" as such cars are known inside the auto manufacturing business. 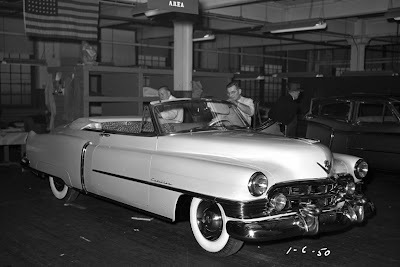 The body of the second show car was later transferred to the frame of this car. Presumably, the remaining components were scrapped. Note the pictured car has no grille. In the background is the second 1953 Chevrolet Corvette prototype show car. It differed slightly from the original prototype which debuted at the 1953 GM Motorama at the Waldorf Astoria. The first show car, according to GM memos, was destroyed by fire in a test of the fiberglass body's flammability and burn rate. The fate of the second show car is unknown; presumably it was scrapped. Above is the interior of the Pontiac Avalon, a modified Pontiac four-door sedan said to have "Catalina styling" painted chartreuse (lower body) and black (roof). 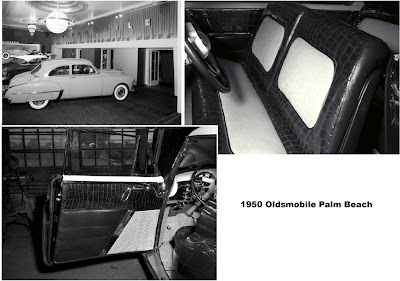 The interior of leather and waffle-patterned nylon was in the same color scheme. 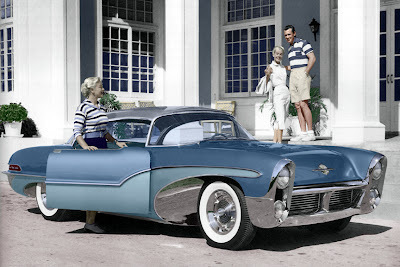 Three 1953 Oldsmobile Starfires were built. At least one was a running car. Two are known to have been scrapped leaving the fate of the other as unknown. 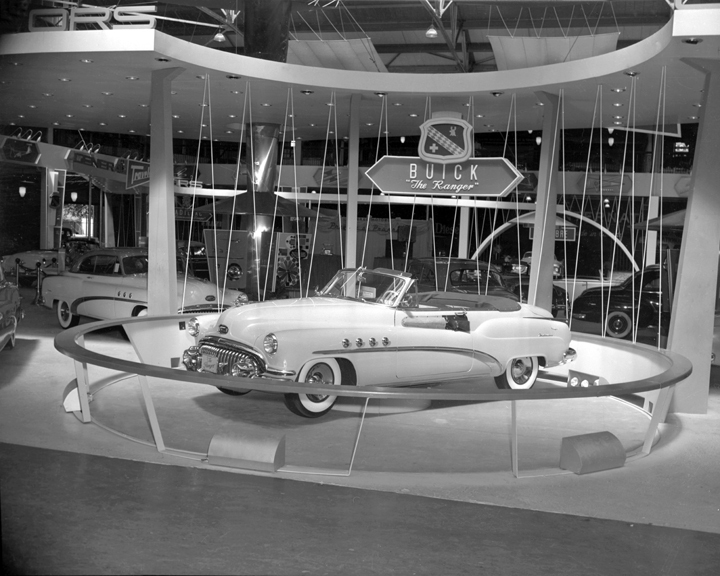 The 1953 Buick Wildcat made its debut at the 1953 GM Motorama at the Waldorf Astoria. This particular car seemingly disappeared afterwards and a white car replaced it for the remainder of the traveling exhibition. 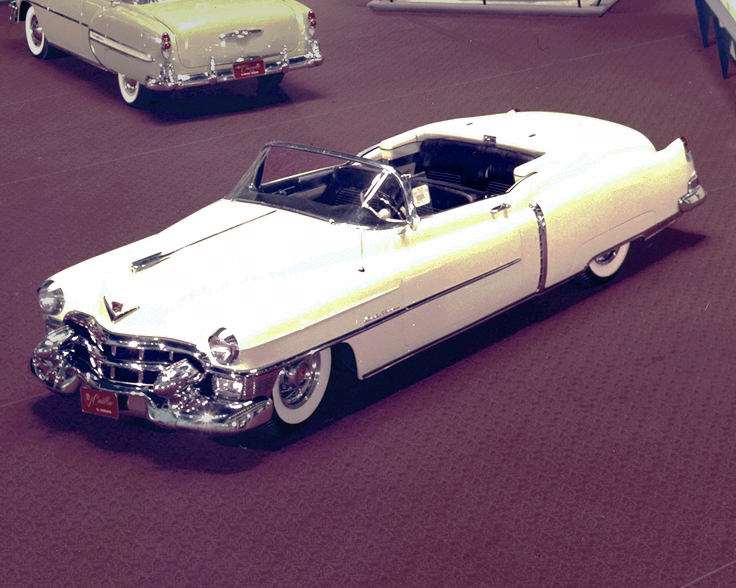 A white example is currently owned by dream car collector, Joe Bortz. More than one 1953 Buick Wildcat was built. This one differs substantially from the others. There is evidence the Wildcat was considered for production. The first production 1953 Cadillac Eldorado was used as a show car by GM. This cropped photo was taken at the Waldorf Astoria prior to the opening of the 1953 GM Motorama. The fate of this car is an unanswered question. The 1953 Cadillac Orleans was built from a leftover 1952 Coupe de Ville body shell. 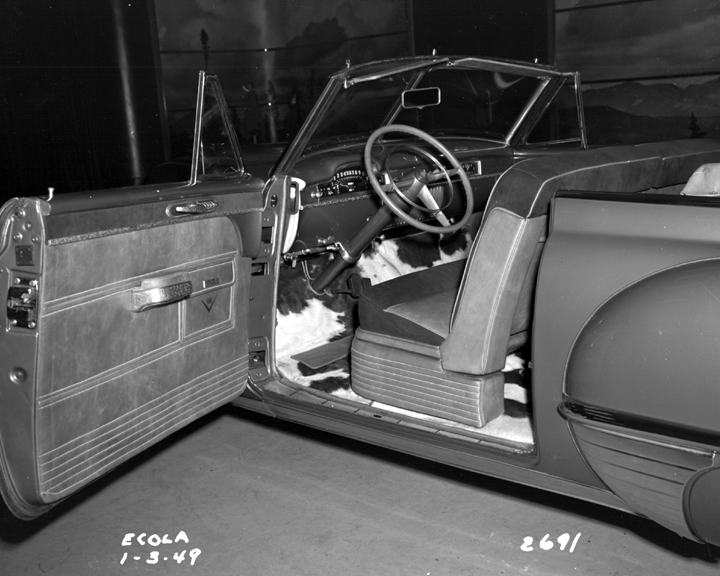 It was a converted into a four-door pillarless (no center post) hardtop. 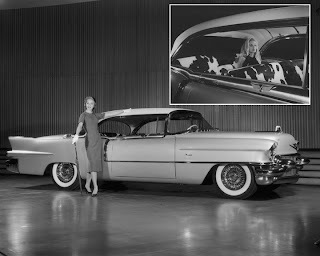 Another major modification was the installation of a wraparound windshield, a feature found only on the limited production 1953 Eldorado. The Orleans was rumored to be in the San Diego area over 30 years ago. Shown is the original 1953 Cadillac Le Mans, one of four built. 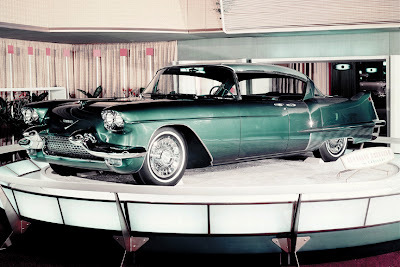 This one was later given to a California Cadillac dealer who sold it to shoe store magnate, Harry Karl. 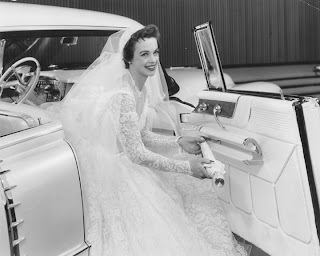 Karl had it customized by famed customized, George Barris, for his bride to be, actress Marie MacDonald. This Le Mans was destroyed in a building fire in May 1985. A few parts not on the car at the time of the fire still survive including the engine. 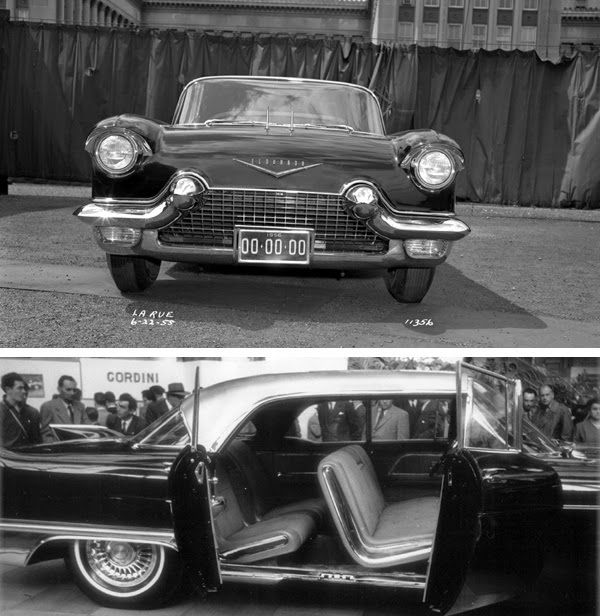 The second example was originally painted the same as the one seen above, but was later titled to GM styling chief, Harley Earl, who had it repainted black and changed the interior color to yellow. The fate of Le Mans #2 is unknown. 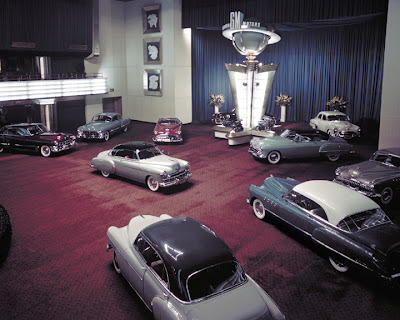 Its last known location was the showroom of Greenlease-Moore Cadillac-Chevrolet in Oklahoma City where it was on display in early November 1953. The 1952 Buick Ranger featured a western theme. It was built from a Roadmaster convertible and was said to be painted El Rancho Beige and Canyon Brown. However, a black & white photo of this car shows it to have had a monotone scheme. The wheels were clearly darker so perhaps the brown paint was applied to them. Brown may also have been the color of the convertible top’s fabric. Fitted on at least the driver’s side door (possibly both doors) was a rifle (type unknown) and holster! This was not the last of the Buick’s with a heavy western theme. The Ranger may have been strictly a Canadian show car. 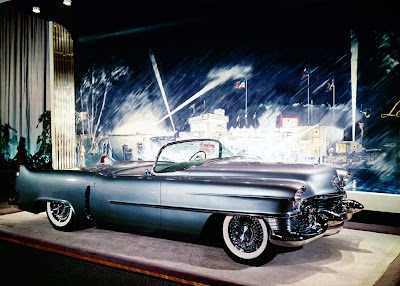 This photo was taken at the 1952 Canadian National Exhibition in Toronto. 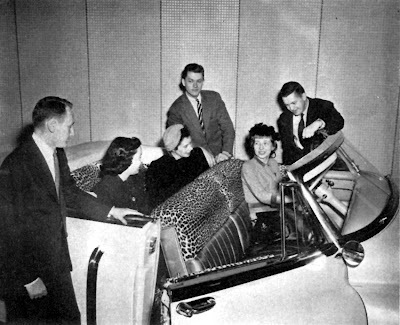 Prototype two-door hardtops were shown at GM's Transportation Unlimited in 1949. Near the center of this photo is the Bel Air. 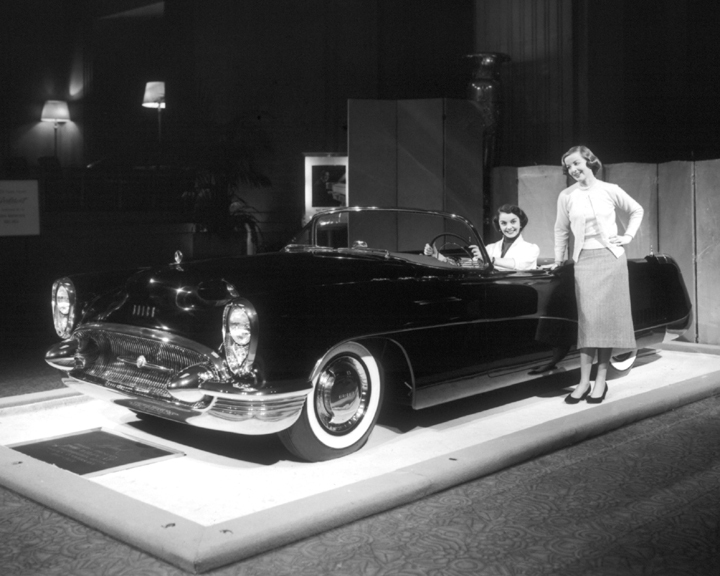 Also shown are Oldsmobile and Buick two-door hardtops. 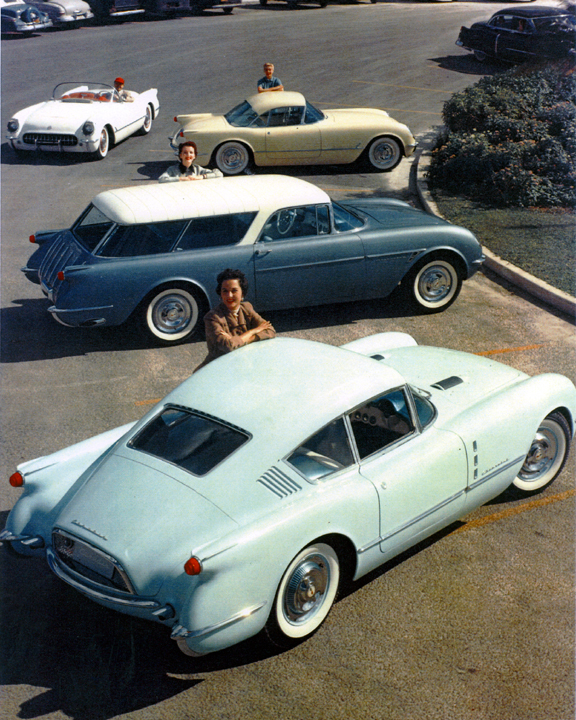 The fates of these hardtop prototypes remain unknown. 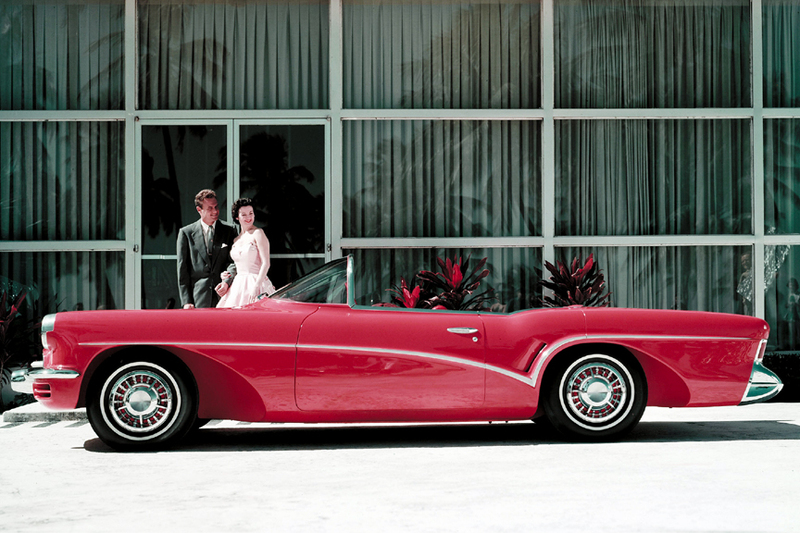 This 1949 Buick Riviera was painted silver and white and had silver interior - a scheme not offered by Buick. 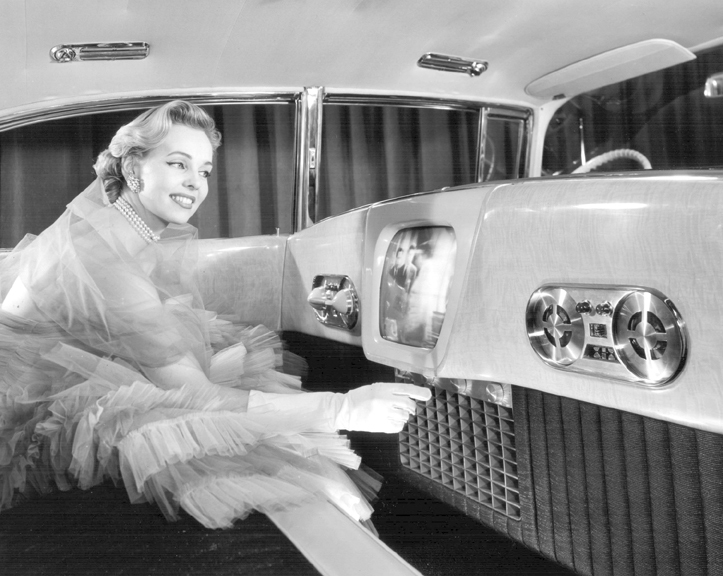 The unique car was shown at GM's 1949 Transportation Unlimited shows held in New York City and Detroit. These photos, however, were taken inside the GM Building. Prototype hardtops were shown at GM's Transportation Unlimited auto show. 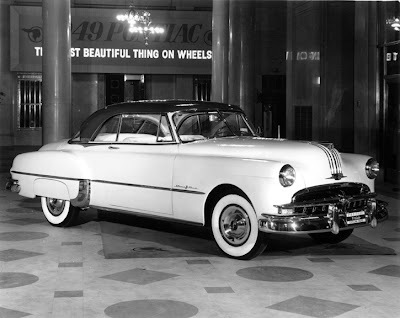 This is the 1949 Pontiac Catalina. Another show car for the Transportation Unlimited show was this 1949 Cadillac El Rancho. It was painted "Mexican Dawn" and its interior was saddle leather trimmed with dark suede kip’s hide and saddle-stitched in white cord. Interior hardware consisted of antiqued and hand-engraved silver. 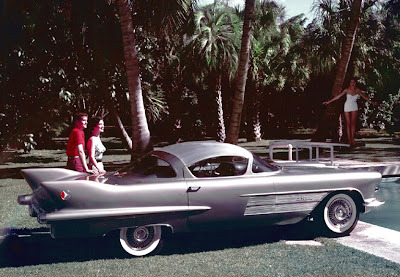 One of the many show cars at the 1950 GM Mid-Century Motorama which had to have made quite an impression on show attendees was the two-door hardtop Oldsmobile Palm Beach Holiday Ninety-Eight (barely visible in upper left photo, far background). Painted Cabana Sand over Surf Green, the Palm Beach was upholstered in green alligator leather with a contrasting fine cane mesh fabric! The fate of this show car remains unknown. 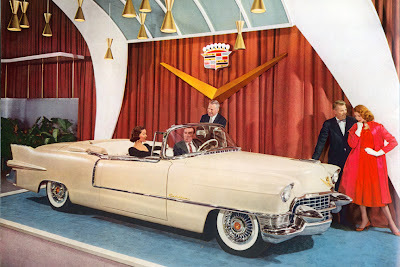 The 1950 Cadillac Debutante show car featured "Tawny Buff" paint, gold-plated interior hardware, and leopard skin upholstery. This car may still exist.